+Can I take a single class without enrolling as a degree or certification student? Yes. An adult education student does not have to enroll for a certification or degree. We do however need current contact information for that student. Also, an adult education student can change their mind and continue their education as a degree or certification student at any time, without losing credit for any course they have taken. Financial aid of any kind, such as FASFA, Military education grants, or any other government/federal aid is not accepted here because we are a religious, non-secular educational facility. We do consider financial arrangements, and when available, will provide scholarships for those in need. +Do I have to pay all of the tuition at once? Courses can be purchased one at a time or up to as many as the student wants. +Do I need to take all of the courses at once? Students are encouraged to study at their own pace. We care about the information you retain. +What other expenses are involved? There is a $5.00 exam fee added to each course when an order is placed. Other expenses include a thesis submittal when necessary, and a $30.00 application fee if enrolling as a certification or degree student. +How much are text books?  CIAMSS courses are sent to the student as a pdf ebook. If the student requires a textbook, they will need to contact us for printing and shipping costs. We feel that the PDF format is much more cost effective for the student as well as helpful for our environment. Did I miss the deadline? Classes start when the student is ready. Keep an eye on the website. We will be introducing virtual classrooms very soon, meanwhile look for classes on our Classes and Events page or contact your local charter. +How long will it take me to become certified or obtain a degree? Students are encouraged to study at their own pace. It depends on how much effort is put into the course work. Scheduled courses that a student attends in person will give a more stringent time frame than an on-your-own type of study program. +Is there an opportunity for me to work at the College? 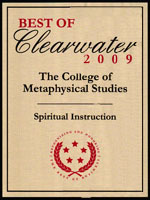 We encourage our certified Metaphysical Teachers to conduct their own classes, as well as run their own CIAMSS Charters. The Dawn of a New Era ! We stand at the dawn of a new era. Before us lies a period of stunning technological innovation, unprecedented economic opportunity, surprising political reform, and great cultural and educational rebirth. For centuries the monumental, symbolic date of 2000 has stood for the future and what we shall make of it. That future is now here. Already we have fallen under its dominion. It is amplifying emotions, accelerating change, heightening awareness, and compelling us to reexamine ourselves, our values, and our institutions. Humanity is evolving its consciousness into an awareness of itself. People are beginning to take a good look at themselves, and are searching for meaning and purpose in their lives. Individuals are beginning to recognize their divine nature, and are looking within to find answers and to commune with a personal, indwelling God(dess). No one organization or person is leading the movement, or transition, but rather various individuals and groups are mobilizing to address the needs of individual seekers. 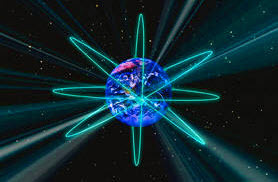 The commonality among all "metaphysical" teachings is that they are addressing the human being's ability to discover, or experience, the Truth for themselves. These new teachings are directing the responsibility for self-awareness back on the individual; the power of realization is being acknowledged within humanity. Many of these teachings may seem far-fetched, but the changes that have occurred in society because of these teachings can be easily seen. Not only has the so-called "New Age" prompted questioning and personal investigation of the Truth, but many of us who had either developed apathy or disillusionment in our spiritual lives are now enthusiastically exploring our spirituality again. More than anything else, these new teachings are a catalyst for change, especially in religious/spiritual thinking. "When the student is ready, the Teacher will come." No matter how good a reputation a metaphysical or esoteric organization has, its only value to you is when the subjects or activities mean something to you, at that "given time." This has nothing to do with the competence or incompetence of the organization or teacher." *Courtesy of Dr. June G. Bletzer, Encyclopedic Psychic Dictionary. It is with great pleasure that we welcome you to an educational experience that will engage you in a challenging, exciting, and stimulating learning environment. Our facility and staff are here to offer encouragement and support as you prepare to learn the Universal Laws that govern life and reveal your oneness with the Infinite so that you may more abundantly accept the greatness of spreading your light and love, thereby changing the world. President: REV. DR. KAREN BROOKS, Ph.D., S.N.H., P.C., D.D. Founder: REV. DR. PAUL F. DANIELE, Ph..D., Th..D., D.D., P.C. Copyright © 2016 College of Inner Awareness, Metaphysical and Spiritual Studies - All Rights Reserved.